Adobe Muse – Kliwon Agency / Corporate Theme Kliwon is a one page muse template with parallax scrolling. You can use this template for corporate, agency, resume and portfolio websites. This is a fully customizable template. 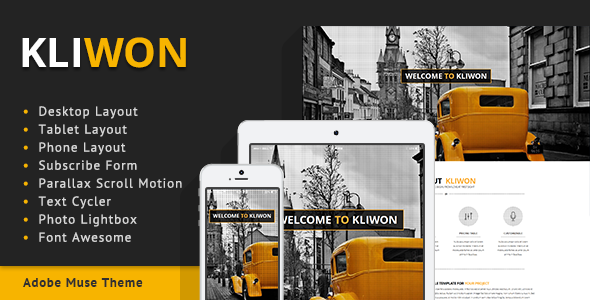 Item Reviewed: Kliwon - Adobe Muse Theme for Agency or Corporate 9 out of 10 based on 10 ratings. 9 user reviews.